A total of four murals have been produced by MU in the Sud-Ouest borough between 2011 and 2015. These large-scale projects are part of a broader, long-term mission to clean up, revitalize and beautify the sector. 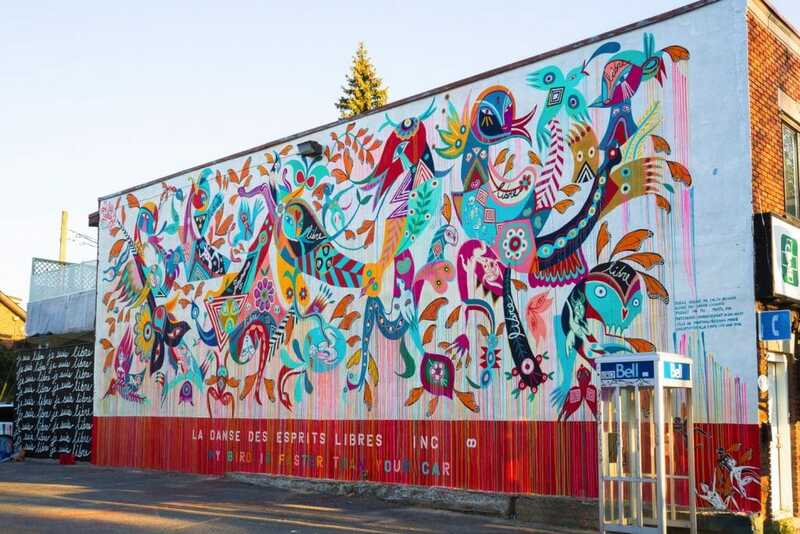 This 5th mural project was the brainchild of Concertation Ville-Émard-Côte-Saint-Paul, the organization spearheading the integrated urban revitalization efforts and the Quartier 21 program, with the support of the Sud-Ouest borough. The Quartier 21 program aims to improve the health and quality of life of its citizens (greening, active transportation, urban agriculture) while the revitalization committee is focused on the redevelopment and beautification of Laurendeau Street. Carlito Dalceggio’s mural complements these ongoing efforts. In parallel with the creation of the mural, workshops were offered to local youth aged 13 to 17, in partnership with the Centre des loisirs Monseigneur Pigeon. The group produced its own indoor mural.